' The best and cheapest hostel in Mxico' & Only 20 meters from The Cathedral and Zocalo (main plaza) Mexico City Hostel offers economic, comfortable accommodation, in our newly and completely remodeled building. This building displays the beauty of Colonial times. 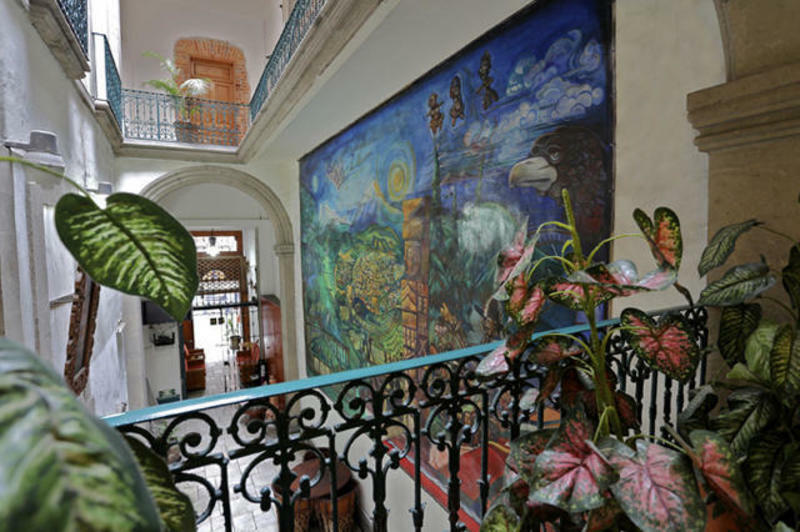 Mexico City Hostel offers a traditional atmosphere of Mexico. We are very close to many places of interest in the Center of Mexico City, for example, galleries, shops, markets and museums. At Mexico City Hostel we offer everthing you need for an unforgettable stay in the Center of Mexico City, private rooms and dormitories, beautiful patios, complete hostel services (laundry service, Internet included in the price a nice and big breakfast also included and not only coffe and bread but eggs with jam, fruit bread with butter and jelly, coffe, tea, hot showers, lockers, safety box at front desk for valuables), tours and much more. 1, Line 1 > Pino Saurez (Change) > Line 2 to Zcalo > leave Metro and we are on the corner of Donceles and Brasil streets to the left side of the Cathedral. 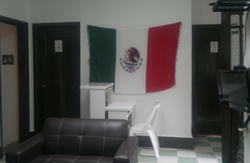 This hostel is located in the zone 3 According to the airport map the cost per ticket is $187.00 pesos . Buy your ticket in the taxis moduls and ask for your ticket. In mexico we dont had taxes for luggage and we do not tip taxi drivers.